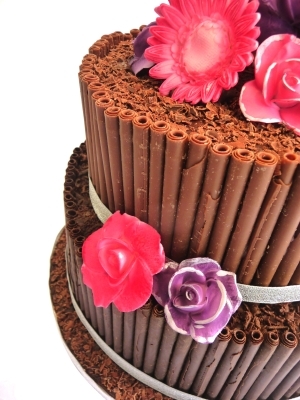 Each cake is unique and designed to your specification and therefore individually priced. Prices are based on the size and complexity of the design. The table below gives an indication of prices for a celebration Madeira cake, layered with jam and buttercream, covered with sugar paste icing and wording of your choice. Delivery of wedding cakes to local venues is free and to venues outside this area there is a small charge depending on distance. I have a variety of cake stands for hire, including crystal pillars, cupcake towers and a water fountain. A deposit is required to confirm your order. If you need to cancel your order 3 months notice is required for a refund of the deposit.